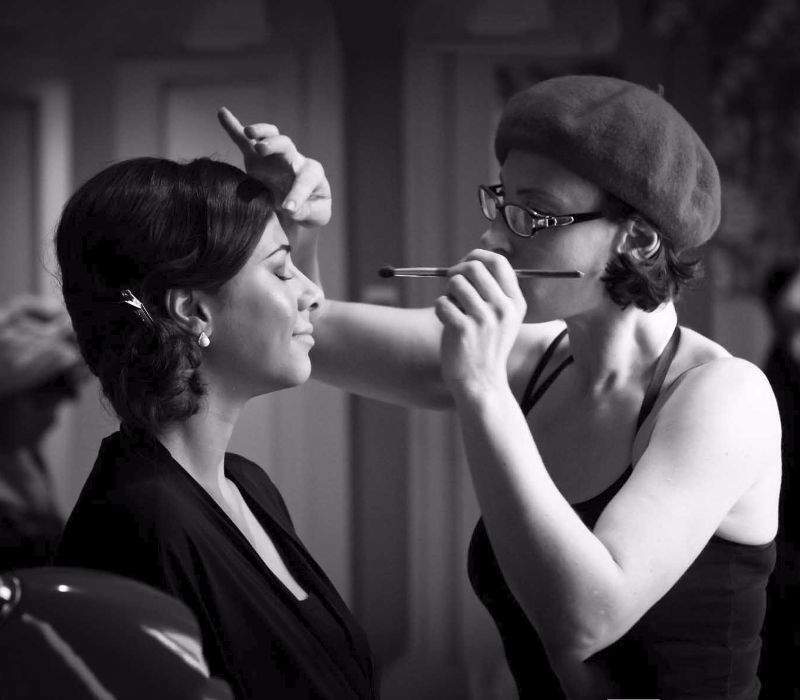 With 16 years experience, Fiona can design a makeup tutorial London package to suit your individual requirements. A bespoke lesson will be created for each service. Whether its for a 1 to 1, bridal or group makeup lesson. Consequently, our makeup tutorial London service can teach you to re-vamp your current skills. Additionally, if you are learning from scratch. This can include; teaching your teenage daughter to avoid that dreaded orange-tone, cakey foundation, or tips for your perfect bridal makeup. Therefore, It also makes an excellent birthday, anniversary or Christmas gift. * A consultation to ascertain your requirements, lifestyle and skill level. * A detailed step by step personalized instruction manuel pdf, with photos, makeup suppliers info & product list. Fiona was really approachable and happy to answer any question or problem. The value for money is great as you get a make up bag analysis, after session notes and she's super responsive on email with tips and suggestions if you ask. Loads of tips and tricks were shared on the session and we weren't rushed out or moved on even when we ran over slightly. I came away with 1 look that I had wanted to learn how to create for years and 2 others that I need to practice! Perfect way to spend a day! Thanks Fiona, will be recommending to my friends. I attended a four hour make up lesson with Fiona and I would definitely recommend attending one of these sessions. I learnt so much from the lesson and it was great that Fiona sends a whole set of notes after the session which recommended which products would suit my skin tone. She was extremely friendly and approachable and couldn't have been more passionate about her work. Having always been fascinated by make up I thoroughly enjoyed the lesson and have been practising the looks we were taught at home! Fiona did the make up for a night out on a hen do I organised. With an assistant (who was also great) she ran the session with military precision and managed to get through 13 people in around 3 hours, which was amazing. She really helped the whole evening say on track and everyone was really pleased with their look. And we didn't all go out looking the same either - each person had something that suited them really well. Fiona's make up lesson was a real treat. She showed me how to achieve the glamorous looks I wanted; step-by-step. Great fun - I would definitely recommend it. Learn day to day tips of the trade, personalised for your daily routine and personal style. The lesson includes how to choose the correct products for your unique colouring, age and skin type. In your session, you will learn vital information including tricks of the trade. Which will ensure day to day confident makeup application. Furthermore, an understanding of how, which and why! Starting with a makeup bag analysis, Fiona will go through every item. Informing you; if each product is suitable and which should be avoided. *Skincare advice which is unique to your skin type; covering exfoliating, hydrating and moisturising. *Understanding your unique beauty and how to highlight your best facial features in a soft and feminine way. *All the makeup basics; base, bronzer & blusher, eye shadow & liner, eyebrows and lips. A makeup lesson for that special event where you want to make extra special! Be it engagement party, birthday, work event, wedding, holiday or red carpet. I can show you a show-stopping look be it sophisticated natural, contemporary glam or vintage vixen. With celebrities like Kim Kardashian embracing the palettes of companies like 'Anastasia Beverley Hills'; Contouring has become a highly sought after technique by many of my clients. I can show you where and what to apply to produce a modern, polished look suitable for a photo-shoot or any occasion. Further more, we will develop a kit together considering your budget and requirements. This will provide you with the tools and products to achieve a professional finish. This includes foundation, concealer, highlighter, luminisor, blusher, bronzer, powder and lip contouring products. If like Kate Middleton, you wish to perfect and accomplish your own bridal beauty routine; Fiona can assist you to perform a time-less look, you will cherish for years to come. We will firstly consider key elements such as your dress, flowers, hair, jewellery, the venue, the location, the season, even the time of day. Further more, you will be asked to produce a pinterest or folder of ideas. This will ensure that you have a true understanding of what you want to achieve, assisting me to achieve it. At FTMakeup London, we will tailor our group lessons in advance to ensure that every person has detailed knowledge of the basics and personal one-to one tuition. This will be of a specific area of particular interest to them including eyelash curling, eye-brow shaping, liner and soft contouring. The teenage years can be exciting, yet daunting. All too often young women will listen to media hype and mask their young skin with thick foundation and powder to hide embarrassing blemishes and scars. Let Fiona help your teenage daughter discover the basics of a beautiful and youthful complexion, whilst giving them the confidence to express their individuality.